Nigeria Customs Service (NCS) has announced the commencement of auctioning exercise of all seized and contraband goods for Saturday, July 1, 2017. 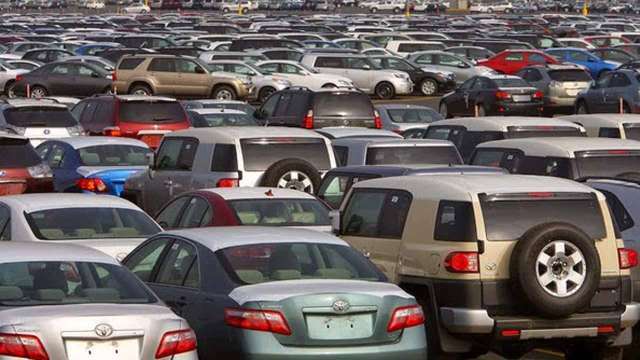 According to the Public Relations Officer (PRO) of NCS, Mr Joseph Attah said the goods would be sold to the highest bidders in a process which would be through online application when its auction online portal is opened. Mr Attah further stated that given the approval by the Controller-General, Col. Hameed Alli (Rtd) to kick-start the e-auction of seized and prohibited goods, the Service had released campaigning materials including video and other awareness materials to inform the public on the proposed exercise. The Custom spokesman also hinted that the agency is embarking on trade facilitation programmes which would reduce cases of good seizure and facilitate ease of doing business. ‘’Our campaigns are targeted at a broad audience base because the more we dominate the various conventional and new media outlets with the true information for public consumption, the more difficult it becomes for unsuspecting members of the public to be misled or scammed." “We had come out with a video that was shown on major television stations) on our weekly Customs Duty Programme." “This is one sure way of fighting ignorance, which we all know is not an excuse for anyone caught on the wrong side of the law." In recent time, social media have been flooded with the various announcement of auction exercise by the NCS which the agency would come to debunk as scam and fraud. Though, many Nigerians have lost valuables to these fake auctioning exercise. NCS also promised to ensure transparency in the whole exercise while collaborating with relevant stakeholders in the country. It is as a result that NCS’s PR Unit has unveiled posters and flyers, urging importers and agents to make genuine declarations of their goods to boost quick cargo clearance from the seaports, airports and border stations. “My Controller-General is committed to transparency and lawful ways of transacting government business and the utmost integrity in relationship with our fellow government agencies and private sector stakeholders,” Attah said. NB: This is e-auction. You don't need to give anybody money to help you buy car from Customs auction anymore. Be warned. The portal will be made available in due time.